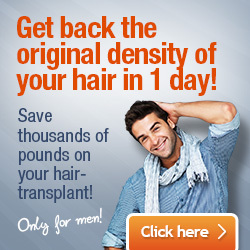 The hair transplant method of Follicular Unit Extraction (FUE) requires the one by one harvesting of follicular units. This is a meticulous procedure, and it is also one of the most vital parts of the entire process as the viability of the grafts is a crucial element in the success of the hair transplant procedure. With more viable grafts harvested, the chances for maximum hair growth yield increase. The FUE2 SAFE System Scribe produces even more incredible results. The FUE SafeSystem is a new patented method, the perfection of the FUE technique. As a result, hair surgeons have focused on improving the techniques and methods used during both the extraction and implant phase, thus, better preserving the extracted units. To this end, certain FUE devices have been developed that aim to maximise the success of the FUE procedure. 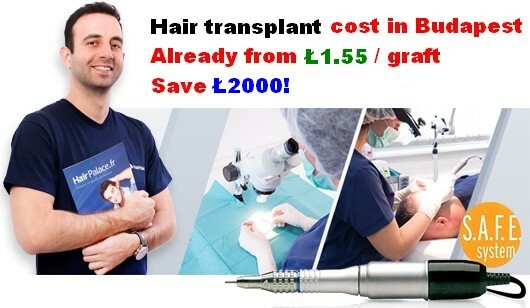 An example of such a device is the implanter pen, which is used by hair transplant surgeons to place the hair graft onto the recipient area of the scalp. The idea behind the implanter pen was to easily combine the making of an incision with the insertion of the grafts. Prior to the actual insertion, follicular units are harvested and dissected into individual grafts ready for reinsertion. Once prepared, these grafts are loaded into the needle of the implanter pen via a special forceps. Usually, a nurse will prepare and load the implanter pens, and hand these to the hair surgeon one by one. The surgeon will then inject the graft through the needle into the recipient area by pressing down on the implanter pen’s plunger. This process is often referred to as the one-step “stick and place” technique. During this step, the hair surgeon must place the graft in an angle that will result in a natural hair growth pattern. This step is also quite important as placing the hair follicle at a bad angle will result in a visibly out of place growth pattern of the new hairs. Depending on the hair clinic and the special preference of the hair surgeon, there are different types of implanter pen devices, but their operation mechanism is more or less the same as described above. 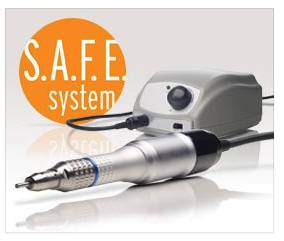 Today, the two most commonly used implanter pens are the Choi Implanter Pen and the Lion Implanter Pen – and the brand new FUE2 Safe System Scribe. The Choi Implanter Pen is the original implanter device created by specialists at the Kyungpook National University in Korea. During an FUE procedure 2-6 Choi implanter pens are used concurrently. The different needle sizes allow the fitting of single, double, and triple follicular units. The advantages of this type of FUE device include decreased bleeding in the recipient site, reduced overall procedure times, and optimum survival rates of hair grafts thanks to the reduced trauma that hair grafts are exposed to during handling. Disadvantages of the Choi implanter pen includes lack of depth control upon insertion, premature needle dulling, increased cost of procedure, and more training time for physicians. The Lion Implanter Pen was developed by Hans Biomedical, which is why it is often referred to as Hans Implanter or Hans Lion Implanter. The Lion implanter pen was based on the Choi, and, in fact, it is an upgraded version of the original implanter pen. Its new features include the needle replacement clip, which promotes fast needle substitution whenever necessary. The needles on the Hans implanter are an improved version of the Choi, meaning that they are more sharp and are made from a smooth alloy, thus reducing trauma to the scalp. The hollowed core allows more room for the loaded graft, and the markings on the Lion needles help orient the surgeon in placing the grafts in the correct position. As there are no general standards for the devices that must be used in an FUE hair transplant, hair surgeons usually use the devices they can work and produce better results with. A major part of the success of FUE transplant also depends on the skills of the surgeon.